In 1969, Cracker Barrel was founded by Dan Evins in Lebanon, Tennessee. Evins was a sales representative for Shell Oil when he decided to open a restaurant and country store. For more than the last 40 years, the company has been continuing to grow to better serve its customers. You can find the Cracker Barrel application link below. The chain currently has more than 620 locations in 42 states. The business has more than 70,000 employees whose careers all focus on bringing customers the best possible experience in the company’s restaurants and stores. The business’ headquarters is currently in Lebanon, Tennessee, the same town in which the company originally started. Cracker Barrel offers patrons and travelers Southern cuisine and comfort food in a homey dining environment. The restaurant serves food for every meal, and a few favorites are the Homemade Chicken n’ Dumplins, Hickory-Smoked Country Ham and Fried Chicken Livers. The stores sell a variety of different products, including children’s toys, furniture, home décor, craft supplies, beauty products, Cracker Barrel branded food products, candy, and other dry goods. The business values pleasing people, so its entire outlook is to make sure that people are well taken care of at all of the company restaurants and stores. This outlook starts with the employees, so the company strives to give their employees all the necessary tools to give their guests the best possible service at all times. Cracker Barrel careers span the gamut from corporate to entry-level. Corporate Cracker Barrel jobs include loss prevention, human resources, training, marketing, finance and administration positions. These job opportunities are not nearly as prevalent as in-store positions, and they require people who are near or willing to relocate to the company headquarters. In-store or in-restaurant jobs can be managerial. These jobs include restaurant manager, assistant manager, retail manager and manager trainees. More entry-level positions include host, server, busser, retail associate, prep cook and grill cook. All in-store positions will allow for flexible scheduling to accommodate busy times and to take good care of patrons. These entry-level Cracker Barrel jobs are frequently available. How old do you have to be to work at Cracker Barrel? To start Cracker Barrel careers, you must be at least 16 years old. From Sunday to Thursday, 11 a.m. to 10 p.m. the restaurants and stores are open. On Friday and Saturday, the business is open from 6 a.m. to 11 p.m. Employees may have to work outside of regular business hours. The business offers its employees a range of benefits, including flexible scheduling and free uniforms. Other additional benefits include 401(k) retirement plans, a 50 percent discount on meals during each shift and a discount on meals and merchandise any time, health insurance options and bonuses. Managerial positions also receive holiday pay and paid vacation. Advancement opportunities are also available to associates. Retail Associate – The sales associates in the retail stores are responsible for stocking merchandise, organizing displays, keeping the shop clean, operating cash registers and preventing theft. Usually this position is part-time, and associates have flexible work schedules. These employees need to be friendly and should be able to communicate well with customers. Pay starts at minimum wage and can grow up to $9 an hour. Prep Cook – To work as a cook, applicants may need to have previous experience, so be sure to thoroughly check the job description before applying. Prep cooks use a variety of different kitchen appliances to help grill cooks get meals ready for patrons. These positions can be either part- or full-time. Pay starts around $9 or $10 an hour. Server – The server position is the most popular career at the restaurant chain. Server responsibilities include taking beverage and food orders, serving orders, ringing up orders and engaging with customers. Servers must be able to stand for an extended period of time. These associates make the federal minimum wage for tipped employees and earn additional money from tips. Restaurant Manager – The restaurant manager needs to be someone who has had previous restaurant experience. These employees help hire new cooks and make sure the kitchen is running as smoothly as possible at all times. Restaurant managers may need to step up in the kitchen to help when the restaurant is really busy. Salary information for this position is not currently available. What drew you to fill out a Cracker Barrel application? Everyone has a different motive for applying for jobs at certain places. No matter what your reason was for applying at Cracker Barrel, you had a reason, so share it with the interviewer. What experience do you have that will help you in this position? Not all of the positions at the store or restaurant level will require past experience, but experience is your friend. If you do have experience, share it with the interviewer as it might help you get the job. What should be know about you that we won’t find in your application form? Everyone has special skills or qualities that their applications won’t reflect. Interviewers want to know more about you than just what you can easily put to paper. Share a few things about yourself, but try to keep it relevant. Why should we hire you? While intimidating, it is a great question, because you clearly think that you deserve the job if you applied for it and came in for an interview. What about you makes you deserving of the job? How would you deal with an angry customer? Customer satisfaction is the biggest priority for the business, so how you handle an upset customer is huge. Think about how you would do your best to make the customer happy. You can apply for jobs at Cracker Barrel two ways. You can either apply online or in-person. There is no printable application for Cracker Barrel, which means that applying in-person is more difficult. Since you can’t get a printable application form, and there is no place to download application form on the company website, you will need to go to a local store and request a free application. You can also choose to fill out a Cracker Barrel job application online. 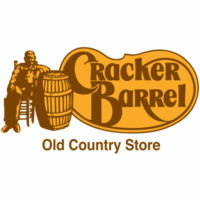 The company website will walk you through how to apply for Cracker Barrel online. The online application should be filled out like a direct application and you should include your resume. You can also browse Cracker Barrel jobs online before you apply. Be patient, as it will take the store a few days to look over all the applications. If you haven’t heard back within a few weeks, you can call the store to inquire about the employment opportunity. The hiring manager will be working to find the best applicants possible to bring in for interviews. If you are one of the applicants who gets called in for an interview, be sure to prepare yourself to answer a few common interview questions, a few of which can be found above. When you go in for the interview, dress in business casual clothing to make a great first impression with the interviewers.